Two students work together. They have to fill in the gaps (spelling the words and saying the numbers). After having finished, they compare their results! 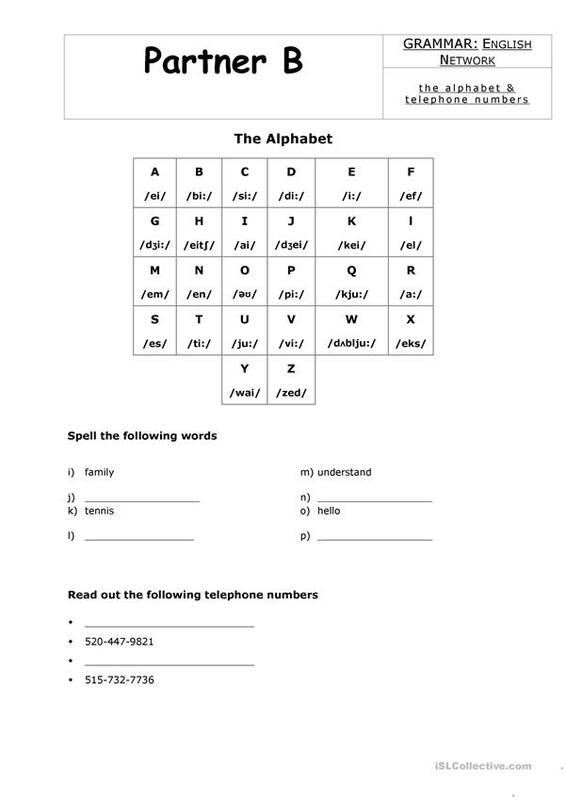 The above printable, downloadable handout is a great resource for adults at Beginner (pre-A1) level. It can be used for strengthening your pupils' Listening, Speaking and Writing skills. 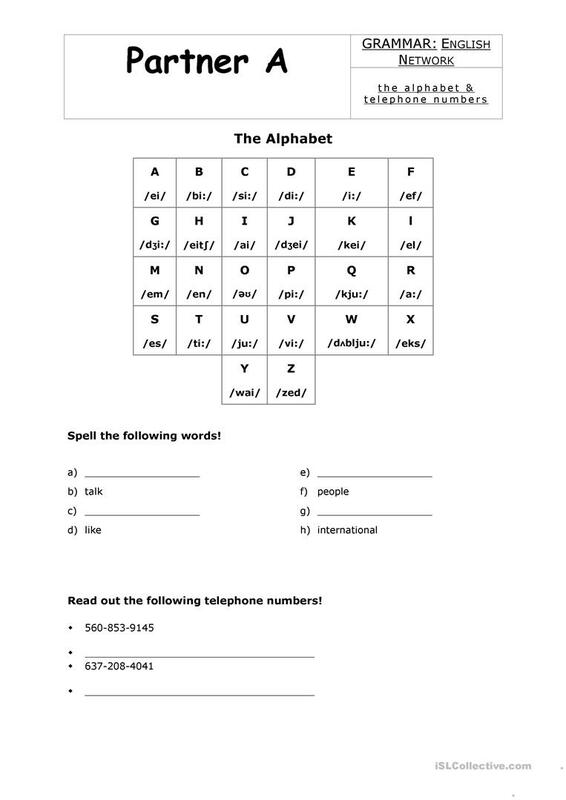 It features the topic and words of Alphabet, Numbers and Phoning. enidan686 is from/lives in and has been a member of iSLCollective since 2013-04-23 09:31:45. enidan686 last logged in on 2018-10-23 17:30:21, and has shared 7 resources on iSLCollective so far.